The Sous La Falaise has four bedrooms, four bathrooms, and can accommodate two to four couples. It has partial air conditioning, with ceiling fans in the areas without air-conditioning. It has a kitchen with marble countertops and a BBQ, and guests can obtain groceries at a nearby store. It has both indoor and outdoor spaces to accommodate the mood of the guests and the weather. It also has a path that leads to a private dock on St. Jean’s beach, which allows for privacy and seclusion that many seek while on vacation. Path to St. Jean Beach! 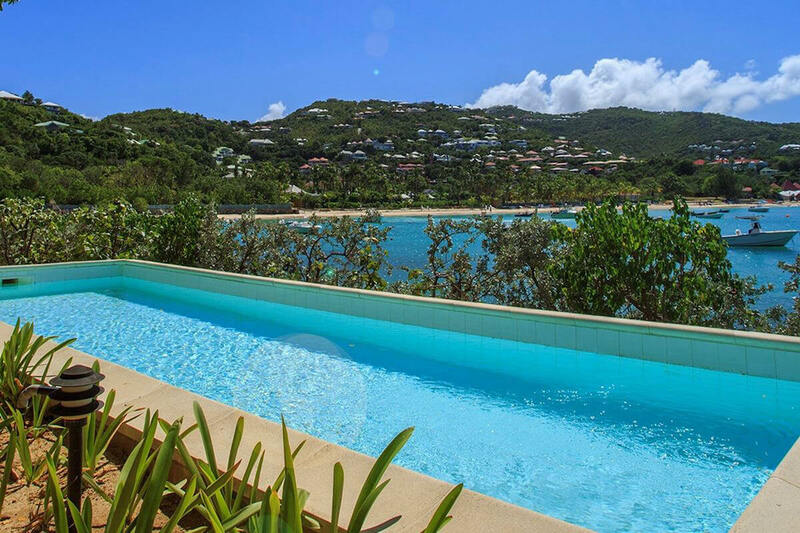 Sous La Falaise Villa is located above St. Jean Bay, right at the water’s edge. A stone footpath leads to St. Jean beach and to a private dock. It is furnished with indoor and outdoor living areas and a gazebo next to the water. The fully equipped kitchen features marble counter tops and BBQ. Every bedroom is a separate bungalow with private terraces overlooking the bay and Eden Roch. Internet connection cannot be guaranteed. Just above the water's edge of St. Jean Bay. Sandy/stone footpath leads to St. Jean beach from the villa.